First, settle down Marine...I serve too, 12N U.S. Army. No need to strut your feathers. You made it sound like you were talking about the "recon car" aka BRDM-2. Here are the two vehicles...take a chill pill.. The new map and game mode look interesting. Good stuff! 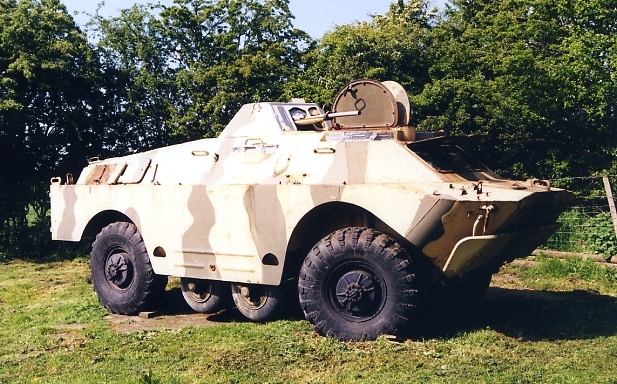 I've looked and looked but the BRDM definitely has four wheels. I like the idea of digging trenches, I think they should be realistically dug though. Might be too expensive with negative terrain though. Possibly. What specifically do you mean by negative terrain, like how the floor of the map is a thin sheet? Yeah I wish we were able to like blow/dig holes in the ground. Months ago a dev said it would be too network-heavy, so terrain deformation probably won't happen. You could easily add the ability to "dig" ranger graves, which like sandbags would be a mesh sitting on top of the terrain. I would like this feature for ambushes and the like. Vehicles should slow down speed when outside road. No reason to use roads if we can cross a mud field without consequences. Well look at that!! It's those sneaky breeky eastern block types at it again. It looks like the middle four wheels can move up and down, my guess is that its for different terrains and uses. When can I have my Abrams and M2 Bradley?